Add plug-in devices to your smart home with this plug-in dimming lamp module. It can be used with incandescent, halogen, dimmable LED or dimmable CFL bulbs. Energy use is reported back to compatible automation controllers to empower users to monitor and adapt their energy consumption. A manual on/off button is available on the front of the module, with an always-on outlet on one side and a controlled outlet on the other side. 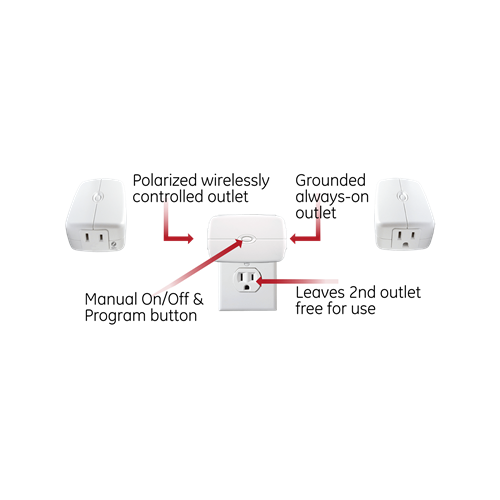 The horizontal design leaves the second outlet in a receptacle free. 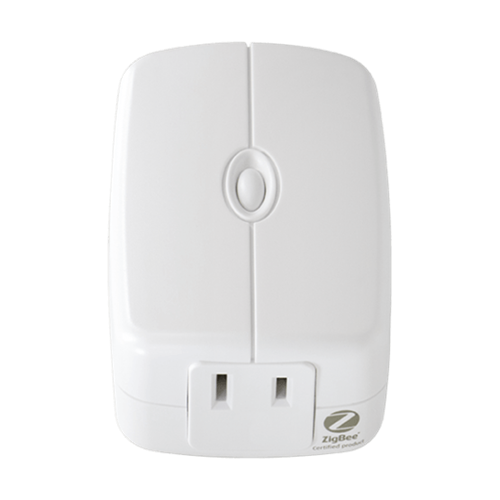 This Zigbee certified device works with HA 1.2 compatible gateways including SmartThings, Vera, Harmony, Iris, Wink, Cox and Rogers. DIY installers will love the flexibility to be able to expand their own network. Users of closed systems such as Rogers or Cox should check with their provider first to confirm if they are allowed to add devices on their own.